Welcome to “Totemstrips”, your West Coast source for awesome cedar strips. 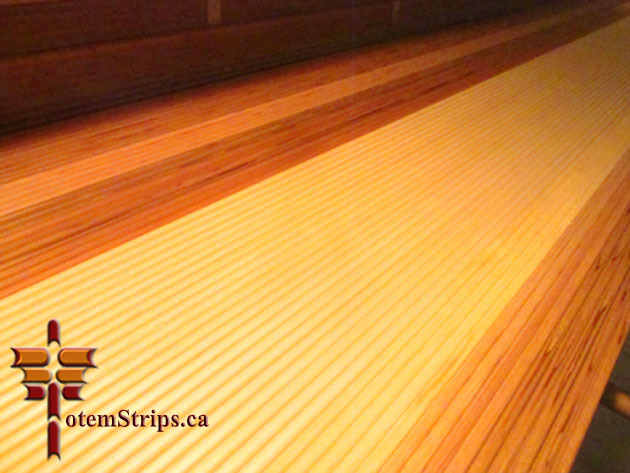 We believe we offer the most economical, and diverse line of Cedar Bead & Cove strips available any where in North America. We are sure you will agree that our strips are “Top of the pole”, second to none. New! Check out our new product offering – “Transition Strip” packages. Totem’s ” 4 minute canoe “ video is now online. We have been milling our cedar strips for almost 3 decades with precision and quality being of utmost importance first and secondly with large production capacities to match. You will find that “TotemStrips” and only “TotemStrips” shares and passes our savings on to you offering North America’s finest strips at the finest prices. Here in the rainforest in BC we have access to spectacular cedar, and coupled with our cutting edge milling processes we are able to provide several different thicknesses & widths of cedar strips. We do not discriminate against shorter lengths under 16 feet as we consider all tight grained old growth cedar of different lengths to be special and sacred. Choosing your lengths carefully will save you money, as well as reducing waste, and reducing demands on the remaining forests. Great pricing on “Courier ” Cedar Strips! 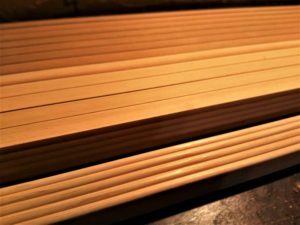 We produce strips in many different sizes and lengths for canoes, kayaks, rowboats or any other project you are building. 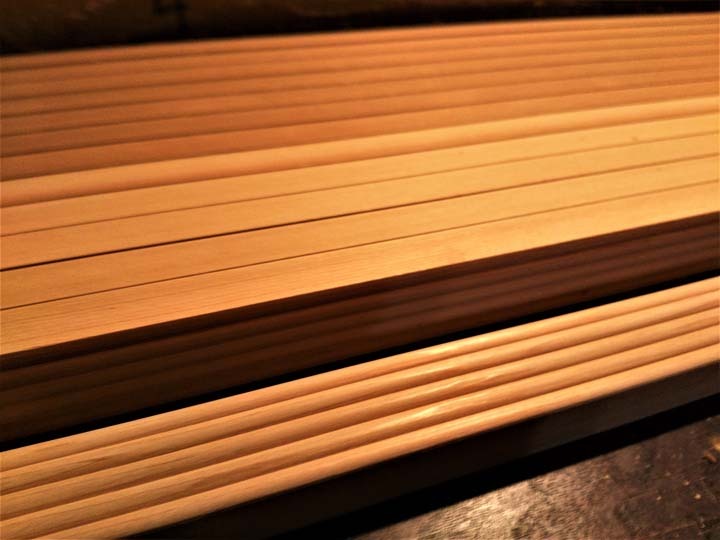 We manufacture larger bead & cove planking for yacht construction as well as Saunas and Hot tubs.